Why Did Florence Nightingale Oppose the British Nurses’ Association? Florence Nightingale devoted her life to administering exceptional medical care and to furthering the profession of nursing. So it seems counterintuitive that the luminary would have opposed the formation of an organization like the British Nursing Association; after all, the organization’s aim was to bring some standardization to nursing. But Nightingale vehemently opposed the BNA, doing everything in her power to stymie its progress. Nightingale entered nursing at a time when women had few respectable employment options. The few women of the upper class who chose the occupation did it out of duty or a sense of service, rather than the desire for a paycheck. Nurses often came from the working class and had little formal education outside their nursing training, which was more hands-on training during a probationary period than book- or lecture-based instruction. It’s also important to note that the wealthy still mostly received their medical care at home, resorting to hospital care only in dire emergencies. Hospitals were used for administering care to the poor and, during wartime, to soldiers. Thus nursing fell short of being considered a true profession; some even thought of nursing as being only slightly better than prostitution! Behavior like stealing food from patients or demanding bribes for administering care was not uncommon; nor was inappropriate fraternization between female nurses and male patients. One of Nightingale’s first priorities was to establish standards for nursing as an “art” or “calling.” Nightingale placed considerable emphasis on nurses’ morality, noting that the best nurses were kind, moral, and decent. She strongly believed that lack of formal education did not preclude a woman from making an excellent nurse, so long as she possessed these other qualities. Nightingale spoke positively about making nursing a profession early in her career. She also took substantial steps to remove opportunities for amoral behavior on her wards. For example, during the Crimean War, Nightingale did not allow any other female nurses to stay in the ward past 8:00 pm; during the night, male patients received care from male orderlies. This practice is what earned Nightingale the nickname “Lady of the Lamp.” She would pace the ward by lamplight virtually all night long, resting only briefly, intent on ensuring that her patients got exceptional care around the clock. The British Nurses’ Association (BNA) was founded in 1887 through the efforts of Ethel Bedford-Fenwick, Catherine J Wood, Isla Stewart, and a number of prominent male physicians. Princess Christian, Queen Victoria’s daughter was the BNA’s royal patron. The organization changed its name to the Royal British Nursing Association in 1891 and received its royal charter two years later. Its primary aim from the beginning was to establish a national registry of nurses. To be included in the registry, nurses would have to complete their training and pass a written examination. With the written examination, the founders’ tacit goal was to exclude working-class women from nursing–thereby raising the social status of the profession. Nightingale didn’t deny that higher social status had its merits for administrators in nursing, but she argued that working-class nurses could provide equally excellent care despite their lack of formal education. 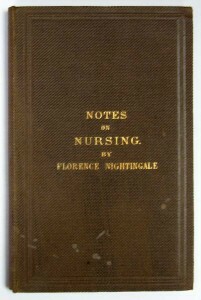 She also pointed out that nurses weren’t “dictionaries,” and that passing a written exam did not necessarily indicate that someone would make a good nurse: “Some of our best could not pass an examination with credit, while some of our worst could gain the most credible place.” Nightingale’s fundamental opposition to the BNA stemmed from their efforts toward exclusion. She advocated improving the overall quality of nursing care through better training instead. The BNA wanted to create a registry listing all the nurses who had completed training and passed a written exam. Hospital administrators could then use the registry as a resource to ensure that they were hiring qualified nurses. Nightingale objected to the registry for multiple reasons. First, the registry would be out of date almost from the moment of publication, as new nurses constantly entered the profession; some nurses would not even be included for years after they completed training, when a new registry was finally printed. But the registry had an even greater flaw, in Nightingale’s eyes: no mechanism existed for removing the names of nurses who were subsequently found to be unfit for the profession. Nightingale said that it often proved difficult to fire nurses even in extreme cases, such as drunkenness on the job or egregious amoral behavior. If a fired nurse had her name printed in the registry, that would give her undue legitimacy when she sought new employment in the profession. Nightingale asked the BNA how a nurse’s name would be removed from the registry, outside of death or criminal conviction, but she never received a satisfactory answer. Furthermore, as it was conceived by the BNA, the registry would not indicate where or when a nurse had received her training. Nor would it list any additional advanced training she may have completed. Nightingale saw this lumping together of all nurses, regardless of training qualifications, as a fatal flaw. Training programs varied widely in technique, quality, and duration. And a nurse trained during wartime, or under a leading physician, for instance, were often better equipped to handle the demands of specific nursing positions. Nightingale argued that omitting such information from the registry made the document virtually useless. Some opponents of the BNA proposed an alternative: issuing nurses certificates when they completed training. The certificate would indicate the date the nurse completed training and the training institution. Each nurse would bear responsibility for her own certificate, and the certificate could be confiscated if she were fired for negligence or misconduct. But the prospects of forgery and the onus of replacing lost certificates made this system less appealing to Nightingale and other leaders in the field. Nightingale sought to make nursing an autonomous endeavor, not under the jurisdiction of physicians. She believed in creating a separate hierarchy within nursing, so that doctors did not have the power to hire, fire, or discipline nurses. Nurses would still take medical orders from doctors, but only because doctors had more knowledge and expertise in determining the best treatment for patients. Yet the BNA intended to give one half of its seats to doctors. Nightingale saw this as directly undermining its stated mission to make nursing into a true profession. This point of contention proved one that Nightingale had to handle delicately, as she had important alliances with plenty of prominent physicians. Nightingale went to considerably lengths to prohibit the BNA’s progress. She and her supporters launched numerous campaigns to draw attention to the organization’s shortcomings. They also pointed out that the BNA claimed to have more support than it actually did; in some cases, the BNA alleged that prominent doctors and nurses supported the organization–when they had already publicly expressed the opposite stance. 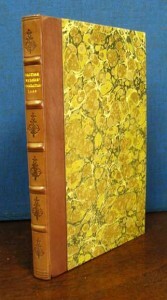 The registration issue emerged in 1887 and gathered momentum the following year. In 1889, the founder of the Hospitals’ Association and editor of The Hospital, Henry Burdett proposed the National Pension Fund as an alternative. Nightingale saw the competitiveness between the two plans as highly distasteful and opposed them both. In 1889, she helped to organize a “memorial” opposing the BNA’s receipt of a royal charter. The House of Lords committee did not meet on the matter until 1891. William Rathbone spoke against the BNA using information supplied by Nightingale. His presentation was so thorough and so convincing that the BNA was forced to drastically revise its proposal. When the organization finally received its royal charter in 1893, the BNA had much less power than its founders had hoped. Though Nightingale’s staunch opposition to the BNA may seem strange today, her reservations were grounded in a genuine love for nursing and desire for improvement in the field. Today we remember Nightingale as a visionary of nursing whose contributions ranged from improving quality of care, to shaping the laws that governed the profession. 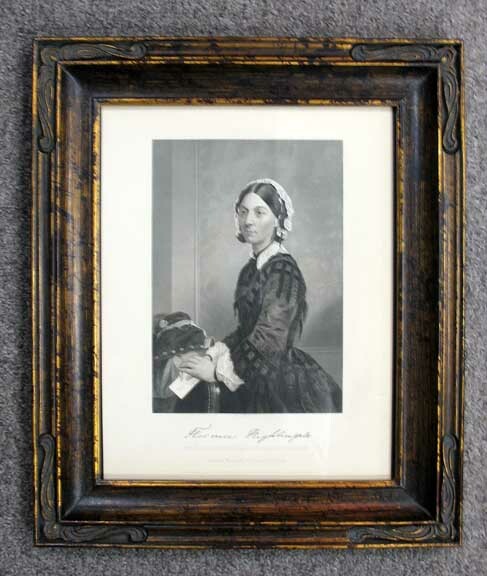 This entry was posted in History, Nursing and tagged British Nurses Association, Florence Nightingale, history, Nursing on May 9, 2014 by tavistock_books.